One mental health problem I really wanted to do some research into is OCD. When it springs to mind immediate thoughts are, oh people with OCD like things to be neat and orderly but as I found out it can go a lot deeper than that. Some people with OCD develop rituals such as cleaning their hands a number of times a day which can really effect things like their jobs or even having difficulty leaving the house. OCD stands for obsessive compulsive disorder and it's an anxiety disorder that produces fear. It effects up to 12 in 1000 people of any age. It's so important that like me, you can see that OCD (rhyme alert) goes much further than simply "cleaning" or whatever; people with OCD can suffer obsessions which can take up worrying and disturbing thoughts. I got this from: http://www.ocduk.org/ocd and it says that "People with OCD often realise that their obsessional thoughts are irrational, but they believe the only way to relieve the anxiety caused by them is to perform compulsive behaviours, often to prevent perceived harm happening to themselves or, more often than not, to a loved one." I talked to a guy a few months ago over a forum who's family had gone on holiday and they were on their own and was worried that their family was going to have bad things happen to them because they hadn't been breathing properly and this was a bit strange to be however after research I found out this is common, people with OCD sometimes feel like if they don't do a certain thing it will hurt a loved one and on the off chance a loved one gets hurt for some coincidental reason, they think they have caused this to happen. However it's also important to see what isn't OCD, it's become a common thing to say 'I have a bit of OCD' if they are quite clean and tidy. But these things rarely cause anxiety where as OCD can leave a person feeling exhausted for hours. OCD is aslo not about collecting things like rocks or stamps or cards, some hoarders with OCD arent collecting because they enjoy it, they're collecting because they fear if they get rid items it will hurt a loved one. OCD is different too impulsive disorders like compulsive liars or shoppers, as someone with OCD had no pleasure from doing what they do but rather being driven by unwanted thoughts. Finally OCD is also different to OCPD as this is a personality disorder. There are four main types of OCD (with a lot of sub divisions) which are Checking, Contamination / Mental Contamination, Hoarding and Ruminations / Intrusive Thoughts. There are of course types that don't fit into these category's. There is so much more that I literally can't fit into this post but i hope this gave an insight and made you a little more aware about OCD. If you want to find out more look at the link i put above and please watch this video http://www.ocduk.org/understanding-ocd-video. 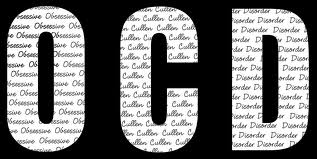 If you want me to write a bit more on OCD please comment and I'll try do a part two, if you want to write your own post on things I left out then do so and send it too me and ill publish it, even if your not a blogger. If you want to write your own post on a different mental health problem or even want to share your own experiences you can do so and if you want to remain anonymous i will fully respect that. Thank you all ill see youu next week!